Daily Dose: Iron & Wine, "Waves of Galveston"
New from Iron & Wine is “Waves of Galveston,” a song Sam Beam, the artist behind Iron & Wine, wrote years ago. He performed it first for The A.V. Club’s “State Songs” Series—the state being Texas, “Waves of Galveston” is a song about Texas and was performed in Texas by Beam while he was living there. That was 2013, and since then Beam has released two full-length albums and two collaborative albums, but “Waves of Galveston” never reappeared with an official release. Well, now is its time because it is on the forthcoming Iron & Wine EP Weed Garden. Due out Aug. 31, Weed Garden is essentially a companion piece to Beast Epic, released last year. The six-song collection stems from the same writing process that also produced Beast Epic. You can pre-order Weed Garden here. You can read our discussion with Beam about finding his voice on Beast Epic here. 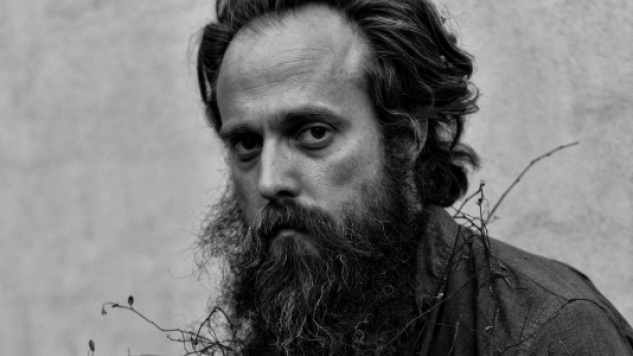 Iron & Wine picks up his tour supporting Weed Garden and Beast Epic on Sept. 21 in Missouri. The fall tour will close Nov. 17 in Memphis, TN.